The Ebola outbreak that likely started in December 2013 with the death of a 2 year old child in Guéckédou, Guinea, has become the deadliest in history. The most recent report, almost a week old now, from the World Health Organisation puts the number of cases at 964 with 603 deaths. 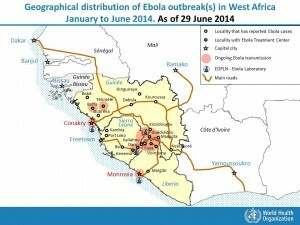 The outbreak has spread from Guinea to neighbouring Liberia and Sierra Leone; between the 8th and 12th of July alone there were 30 new cases and 13 deaths in Liberia and 49 new cases and 52 deaths in Sierra Leone. 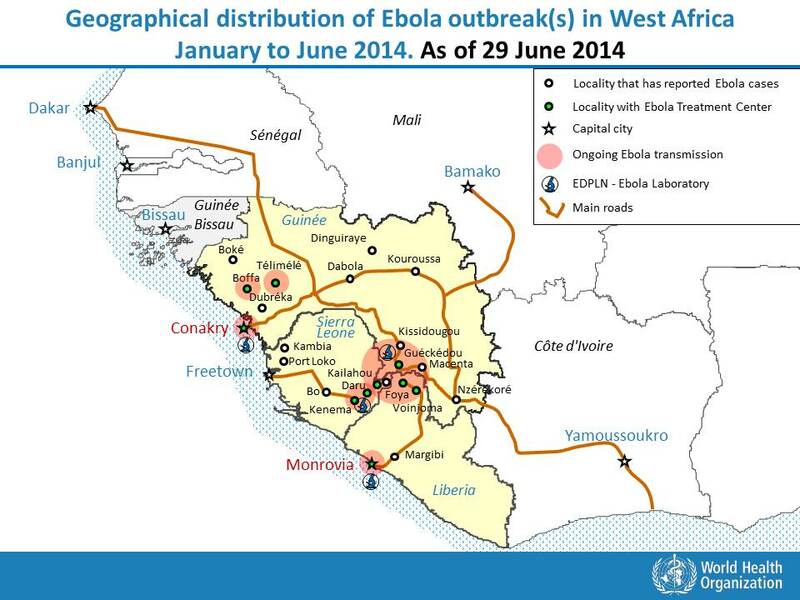 Key to controlling the outbreak is stopping transmission. This means getting infected people into treatment centres, isolating those who have been in contact with anyone infected, and ensuring that everyone has the knowledge and equipment to protect themselves while looking after the infected and burying the dead. Reporter Alex Crawford recently went to Liberia and showed the precautions people have to go take to ensure they don’t become infected – the donning of a vast amount of PPE – Personal Protective Equipment – which must be almost unbearable to wear in the heat of west Africa. You can watch her report below – although the part where they shove the camera in an infected nurse’s face and ask her how she is feeling is pretty distasteful. She is extremely ill with Ebola and has about a 30-40% chance of surviving, and if she does survive, will be stigmatised for life. How would you feel, Alex?! My previous Ebola FAQ can be found here.